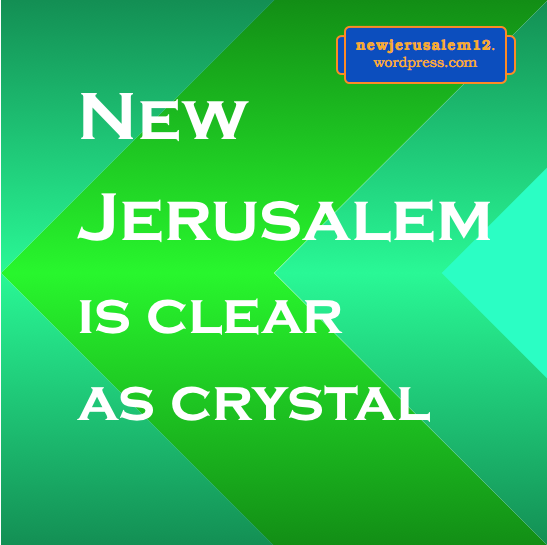 Revelation 21:11 says about New Jerusalem, “Her light was like a most precious stone, like a jasper stone, as clear as crystal.” The light of New Jerusalem, the light which is Jesus Christ as the shining life in every member of this corporate city, is most precious to God and expresses Him fully. This precious shining of New Jerusalem is like a jasper stone, matching God sitting on the throne. This shining jasper stone is “clear as crystal” or, as others translate, “bright as crystal.” The clear-ness allows the brightness to shine out. 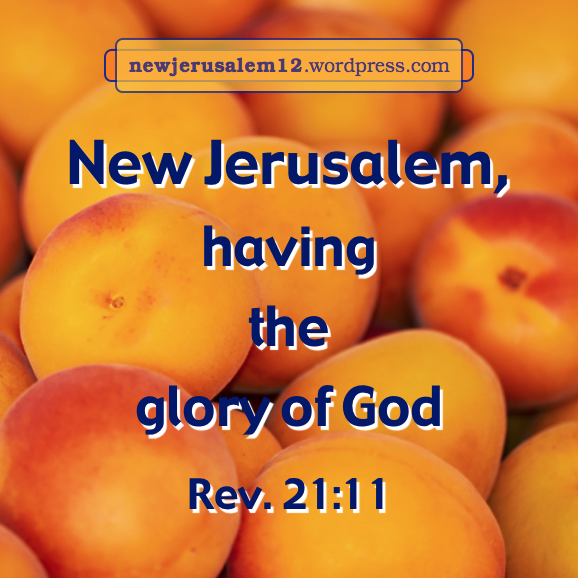 The words clear, pure, and transparent are all used in Revelation 21 to describe New Jerusalem. These show that the city has no mixture, no contaminant. no pollution. It is as pure and clear as God Himself because God saturates the whole city. God chose us in eternity past “to be holy and without blemish before Him in love” (Eph. 1:4). His desire is that, by experiencing Christ day by day, we “may be blameless and guileless, children of God without blemish in the midst of a crooked and perverted generation, among whom you shine as luminaries in the world” (Phil. 2:15). God desires that we shine today like New Jerusalem will shine eternally. We should not wait. Christ living in us will make us blameless, without blemish, and shining. This is for us today as a foretaste of the clear and bright shining of New Jerusalem. Revelation 21:11 describes New Jerusalem, “Her light was like a most precious stone, like a jasper stone, as clear as crystal.” This precious jasper stone is not a physical stone but a spiritual symbol. In God’s New Testament building, including New Jerusalem, stones are living persons. Jesus Christ is a living and precious Stone. By coming to Him, we too are living stones for God’s building (1 Peter 2:4-5). The jasper of New Jerusalem is “a most precious stone” indicating that the whole city is most precious in God’s sight. New Jerusalem is most precious because it fulfills God’s eternal desire—a corporate expression of Himself in humanity. This desire was first indicated in Genesis 1:26 when God created man in His own image. However, created man was like a photo, having the image of God but without the reality. 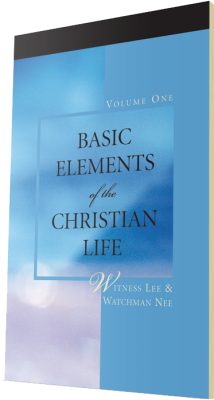 To bring forth His corporate expression in man, the Triune God came to be life in man. This life is also the light as the Lord promised in John 8:12; not a natural light nor a man-made light, but God Himself shining through us. 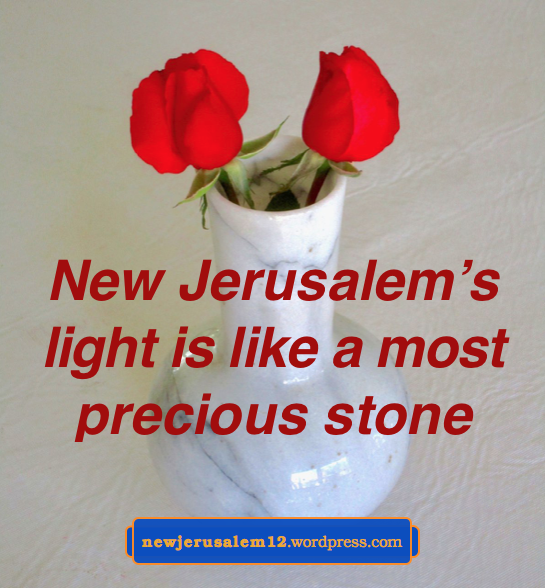 This is the most precious light of New Jerusalem, the light which expresses the One sitting on the throne at the center of the city. 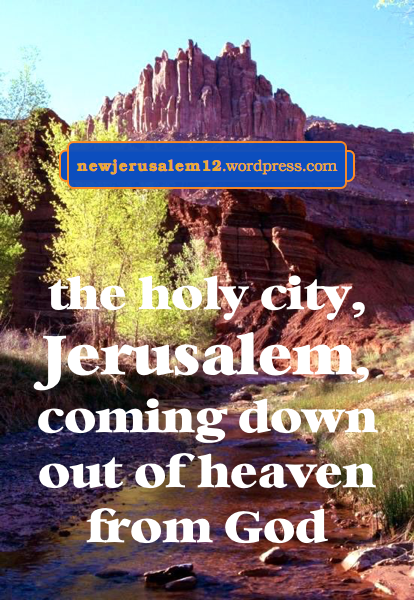 New Jerusalem possesses the glory of God because God saturates every part of the city. God predestined us to this glory (1 Cor. 2:7) and called us into His glory (1 Peter 5:10), Christ is in us today as our hope of glory (Col. 1:27), the Spirit is transforming us from glory to glory (2 Cor. 3:18), God is leading many sons into glory (Heb. 2:10), Christ will come to be glorified in us (2 Thes. 1:10), and we will be glorified with Him (Rom. 8:17). New Jerusalem is a corporate composition of all God’s redeemed people. By every step from God’s predestination to glorification, He is preparing us to be His city of glory. In Revelation 4 God sitting on His throne has the appearance of a jasper stone. Both the shining of the city and the wall, its exterior perimeter, have an appearance identical to God on the throne. Today, 2 Corinthians 3 says that we behold and reflect the glory of God. In eternity New Jerusalem, the consummation of today’s beholding and reflecting, will be saturated with and radiate the glory of God. 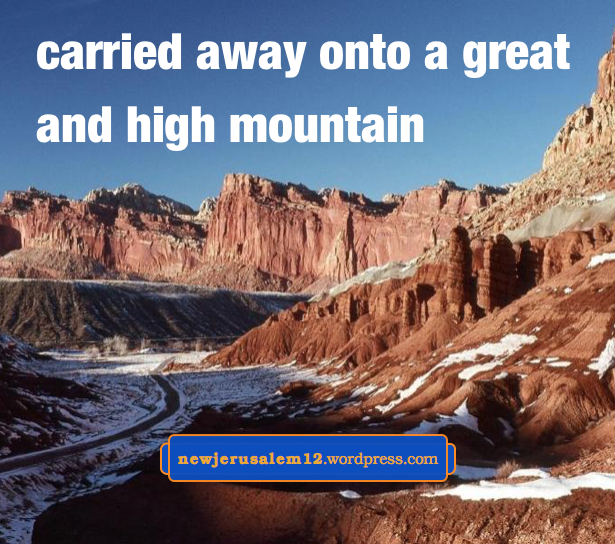 To see something as marvelous as New Jerusalem, we must come to a high mountain. In contrast, an angel brought John to a wilderness to see the judgment on the great harlot. In Exodus 24 Moses went to the top of a mountain to be with God and receive the vision of the tabernacle. And in Matthew 5–7 the Lord Jesus was on a mountain to speak the kingdom of the heavens to His disciples. It was also on a mountain that the Lord appeared in glory to His three disciples. To be on a mountain is to be above our daily living, to be out of ordinary affairs. Although we cannot stay on a mountain forever, we do need some experiences of being carried away and being on a mountain top. Lord, bring us upward to see what You desire to reveal to us! John recorded four experiences in Revelation of being in spirit for a heavenly revelation. The last of these four is here, seeing New Jerusalem. This is the conclusion of the four revelations and the consummation of the whole Bible. New Jerusalem is God’s goal and is our destiny. In Revelation John was “in spirit” four times (Rev. 1:10; 4:2; 17:3; 21:10). First, he heard and saw the Lord Jesus and received His words to the seven churches (chap. 1–3). Second, John saw God’s throne in heaven, the Lamb opening the seven seals, and all God’s judgments upon the earth and unrepentant people on it (chap. 4–16). Third, he saw Babylon and God’s final judgments (chap. 17-20). Finally he saw New Jerusalem at the center of new earth (chap. 21–22). John was “carried me away in spirit.” This is his human spirit. Our human spirit is the deepest part of our being, hidden within our soul and body (1 Thes. 5:23). Some verses which refer specifically to our human spirit are Romans 1:9, 1 Corinthians 16:18, 2 Corinthians 2:13, and Galatians 6:18. Our spirit is not alone. The divine Spirit has regenerated our human spirit and is now one with it (Rom. 8:16). We are one spirit with the Lord (1 Cor. 6:17). 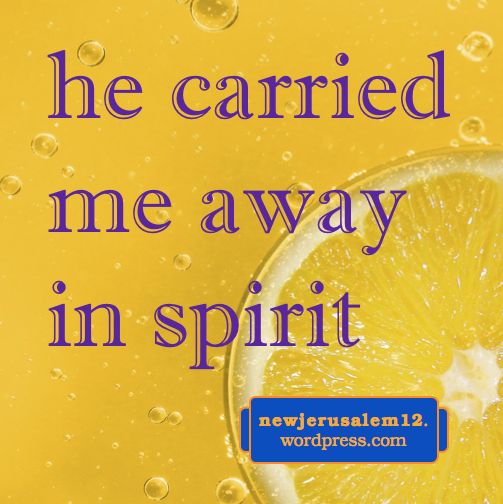 To see New Jerusalem, our spirit is the most important part of our being. Lord, grant me more time in spirit to see and partake of all Your spiritual realities. In Revelation 21:9 John tells us, “And one of the seven angels who had the seven bowls full of the seven last plagues came and spoke with me, saying, Come here; I will show you the bride, the wife of the Lamb.” The Lamb is Jesus Christ and His wife is New Jerusalem. In Revelation 15:1–16:21 seven angels have seven bowls with the final plagues, the fury of God, which they pour onto the earth. This judgment is to clean up the earth for its renewing, so that the new earth can appear under the new heaven (21:1) and New Jerusalem can come down out of heaven onto the new earth (21:2). Regarding the mention of these seven angels in Revelation 21:9, note 1 in the Online Recovery Version NT says, This signifies that the judgment of the seven bowls is for the New Jerusalem. Decades earlier John the Baptist declared that Jesus Christ is “the Lamb of God, who takes away the sin of the world!” (John 1:29). Later this same John, speaking about Jesus Christ, said, “He who has the bride is the bridegroom….He must increase, but I must decrease” (John 3:29-30). 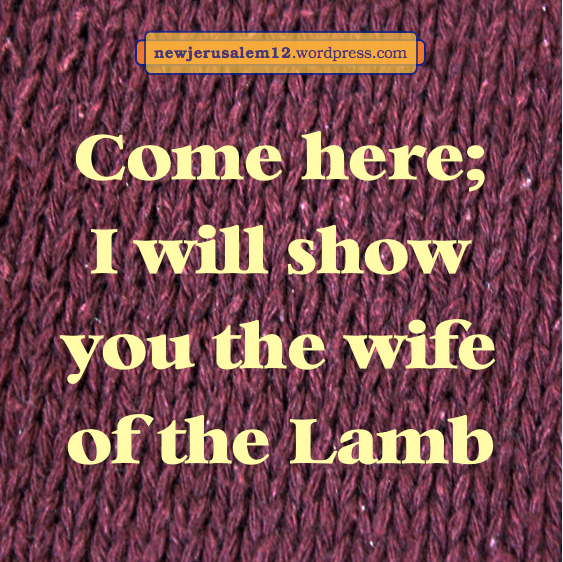 New Jerusalem, the bride, is the increase of the Lamb, Jesus Christ. This is a summary of the recent posts on Revelation 21:1-8, which review life on the new earth emphasizing the details about New Jerusalem. Each verse is followed by the title with a link to related posts. 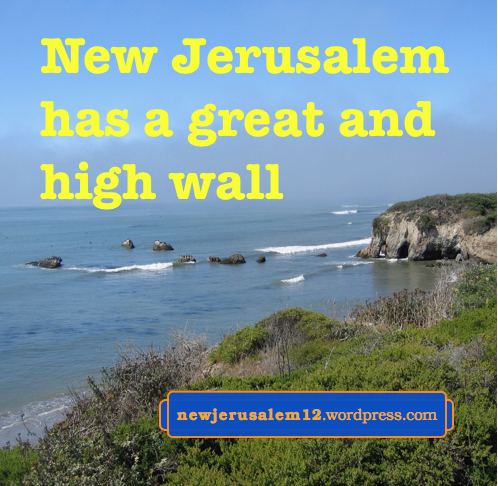 verse describes God’s blessings to the nations living around New Jerusalem. Surely God’s redeemed people who are built into New Jerusalem will also enjoy these blessings and also much more. The former things are of the old creation. Not only have they passed away but even more they will not arise in men’s hearts. Through His death Christ redeemed us from sin (Titus 2:14), nullified death (2 Tim. 1:10), and destroyed the devil (Heb. 2:14). Although the full effect of these accomplishments is not yet manifest, by the time of Revelation 20 all negative things will go to the lake of fire. This is a brief look at the blessings to be enjoyed by people living around New Jerusalem on the new earth. Recent posts have been about Revelation 21:2. 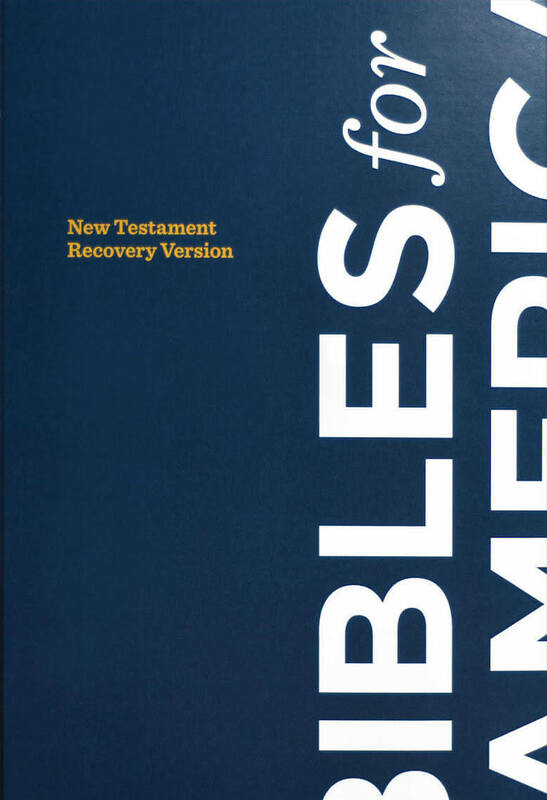 Verse 3 begins, “And I heard a loud voice out of the throne.” And connects what follows with the description of New Jerusalem in verse 2. A loud voice is often heard in Revelation, to call everyone’s attention to the concluding events of this age, the introduction of the coming age, the final judgments, and the new creation with New Jerusalem. In this verse the loud voice is out of the throne. This word comes direct from God and the Lamb who sit on the throne in New Jerusalem. This loud voice first says, “Behold, the tabernacle of God.” In Exodus the tabernacle was a physical building, a picture of the New Testament reality. Hebrews 8:2 and 9:11 speak of the true and more perfect heavenly tabernacle. These verses tell us that the true tabernacle is not of the old creation. It is of the new creation. This true tabernacle first appeared in the incarnation. John 1:14 declares, “The Word became flesh and tabernacled among us.” The incarnated Word, the man Jesus, was of the new creation as this true tabernacle among men. 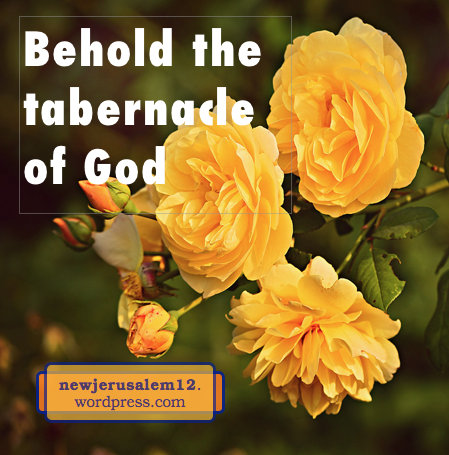 The New Testament tabernacle is God dwelling in a living Person! This tabernacle was enlarged through the death and resurrection of Jesus Christ. It is God dwelling in a corporate living person, the church today and New Jerusalem in eternity. 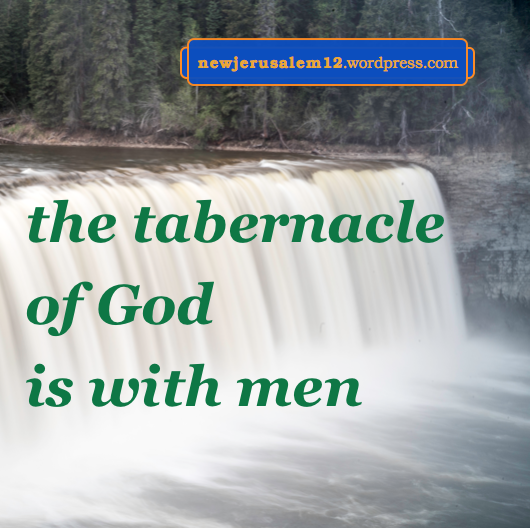 This consummate tabernacle, New Jerusalem, is “with men” because it has “come down out of heaven” to be on earth for eternity.